A few media outlets have picked up on the investigative report submitted to a federal court in Argentina concluding that Alberto Nisman was murdered. Forensic evidence and a thorough investigation of the crime scene led the investigators to the homicide conclusion. As reported in wall street journal, the deduction was based mainly on the lack of gunpowder residue on his hands (indicating that he did not commit suicide), findings of the Ketamine drug in Nisman’s body (signaling that he was drugged), physical violence (signaling that he was beaten physically) and additional clear indications. Prosecutor Nisman’s body was found in his apartment on 18 January 2015, hours before Nisman was to present his claim before the congress that then President Cristina Kirchner had conspired together with Iran to sabotage the investigation into the bombing of the AMIA Jewish Community Center in Argentina in 1994. As highlighted by timesofisrael, Argentina had already implicated and accused Iran backed Hezbollah terror group in the bombing of the Jewish Center. Nisman managed to establish how and when Iran commissioned the bombing, naming Ibrahim Berro as the suicide bomber, who drove the explosives-filled van into the building, killing 85 people. In addition, Nisman has also established that Iran had sponsored the March 1992 attack against the Israeli Embassy in Buenos Aires, in which 29 people were killed and hundreds wounded. At the time of Nisman’s death, the issue received prime attention. The nytimes then referred to it as a “mysterious death”, BBC and the newyorker courageously raised the probability of homicide (long before the conclusive findings). Yet, now with the findings, the mainstream media is silent. To the credit of the few that do report, despite the two year lapse in the investigation of Nisman’s death, and despite the more than 20 years lapse in the investigation of the bombing, they do understand the importance of this finding. What is lacking in the coverage of this issue is the wide scope it enjoyed in the past and the calling of the significance of the findings and most logical culprits. 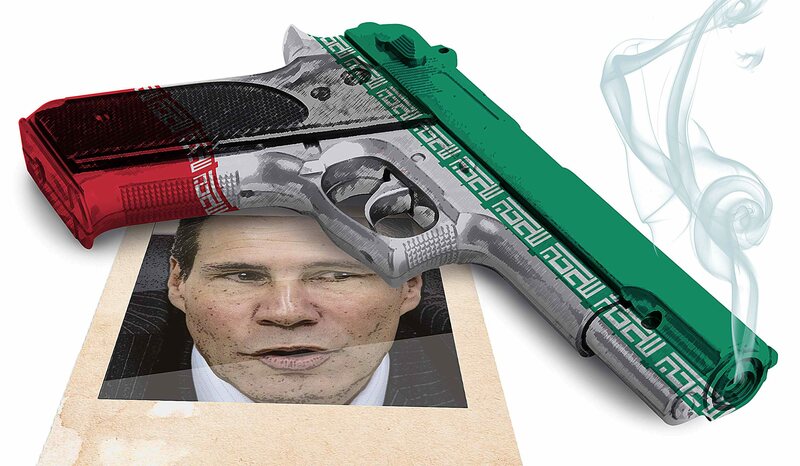 Those with the most to gain from Nisman’s death are Iran and President Kirchner, the two parties to the alleged cover-up which Nisman was about to reveal. Iran had already been implicated in the two bombings. Would seem quite natural to assume that the Iranian angle should be opened and investigated thoroughly, to find out who gave the order. Strange that the media does not seem to find this important enough for the follow up.